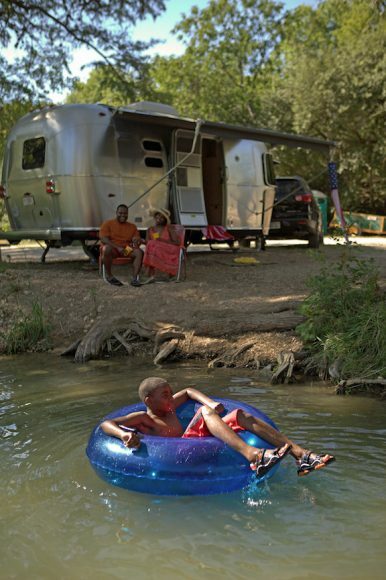 Airstream has designed a number of small travel trailers that can easily be towed with family-size SUVs and a snap to park in public campgrounds. Tipton’s 25FB International Serenity’s base weight (with LP and batteries) is listed at 5,503 pounds. The maximum trailer capacity (GVWR) is 7,300 pounds, allowing for 1,797 pounds of marshmallows, fishing reels and other required camping equipment. 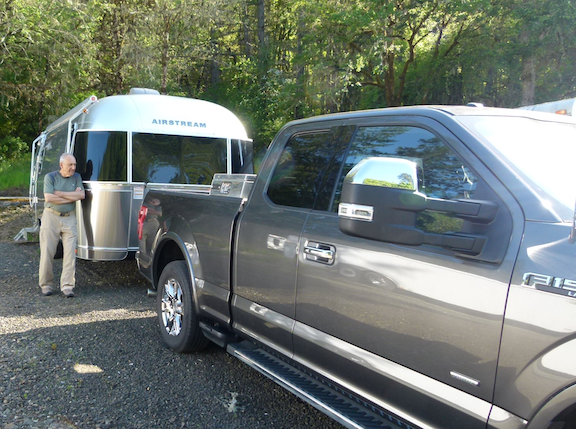 The longtime RVer pulls his 2017 Airstream with a 2015 Ford F150 Lariat 3.5L V6 EcoBoost engine. Click here to read the complete 4-part series.